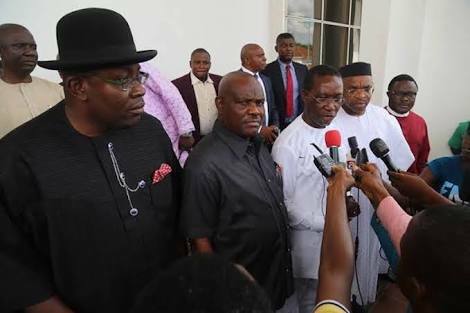 Rivers State Governor Nyesom Wike yesterday slammed some PDP presidential aspirants for alleged opposition to Port Harcourt as venue for the party’s National Convention on October 5 and 6. Besides, he said such aspirants have failed to live up to their campaign for the restructuring of the country. PDP is billed to hold a convention to elect its presidential candidate on October 5 and 6 in Port Harcourt, the Rivers State capital. Thirteen aspirants are jostling for the ticket. The Port Harcourt venue, endorsed by some aspirants, has not gone down well with other aspirants. Describing the opposition to Port Harcourt as strange, Wike said there was no other way to explain such cold feeling towards holding the convention in Port Harcourt apart from the fact that the aspirants involved had no economic interest of Rivers and Niger Delta at heart. He said: “Those who are against the PDP convention holding in Port Harcourt don’t have the the economic interest of Rivers and Niger Delta at heart. The governor described as worrisome that the same people who have been traversing the length and breadth of the country calling for the restructuring of Nigeria were kicking against the choice of Port Harcourt as venue for the convention. He asked: “Why are they not acting in tandem with their campaign for the restructuring of Nigeria? From their opposition to Port Harcourt, it means the restructuring campaign is a mere lip service”. All the aspirants, he said, will enjoy a level playing field, insisting that the choice of Port Harcourt is not meant to give any aspirant an edge over others. The governor said: “Every aspirant will be given a level playing field."